Chris Cope: TMO: What makes a rider-friendly region? 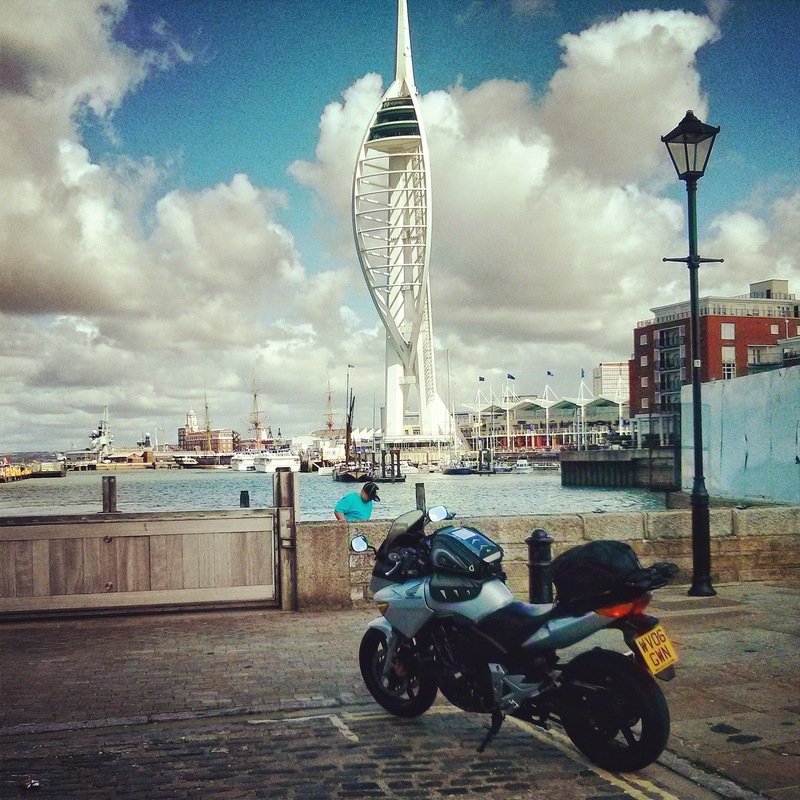 A few weeks ago I got a chance to visit Portsmouth for the first time in 13 years. It is strange that I have lived in Britain more than eight years and it had taken me this long. Especially considering how much I used to love that city. I don't suppose I need to put that last sentence in the past tense. If there were opportunity to live in Portsmouth again I probably would. Though, I'm realistic enough to know I wouldn't be as enraptured by the place. It is just a place, just a city. But it is the city where I first fell in love with Britain. And initially it was my deep obsession with returning to Portsmouth (and, by extension, Britain) that led to my moving to Cardiff. Perhaps therein is one of the reasons I feel so negatively toward Wales' capital city. My experiences here have killed off so much of the love, excitement and enthusiasm I once felt toward Britain. I became so cynical that I lived for eight years just 140 miles from a place I used to love so damned much that I wrote an entire book about it and I never went there. Until this August. I am happy to report that Portsmouth is less an ugly dog of a town than I remembered and that its residents are still as charmingly rude as always (a). Meanwhile, one thing I had never before spotted, or, at least, been properly alert to (b), was the fact that Portsmouth and the surrounding region of Southeast England are quite motorcycle friendly. There are notably more motorcyclists riding notably greater variety of motorcycle there than in Wales. And, perhaps simply as matter of course, businesses and other road users are more accommodating of motorcycles. The question, though, is why? That's something I ponder in this post. Click the link below to read more. What makes a rider-friendly region? (a) One could easily describe the people of Portsmouth as terribly unfriendly but that's not true. They are just very direct, and often part of their humour is to pretend to be mean. It takes some getting used to. (b) In The Way Forward there is a part where Ben marvels at the fact that guys in Portsmouth will dress up like they're "in a middle-aged production of 'Grease'." This was an observation of my own when I lived there in the late 1990s. I now know that these guys were, in fact, a bunch of old rockers, i.e., part of the mods and rockers subculture of the 1960s.